The Notre Dame Integrated Imaging Facility (NDIIF) announced that the Best Biological Imaging Publication 2017 is awarded to Dr. Jeremiah Zartman, an Assistant Professor in the Department of Chemical and Biomolecular Engineering and affiliated member of the Center for Stem Cells and Regeneration. 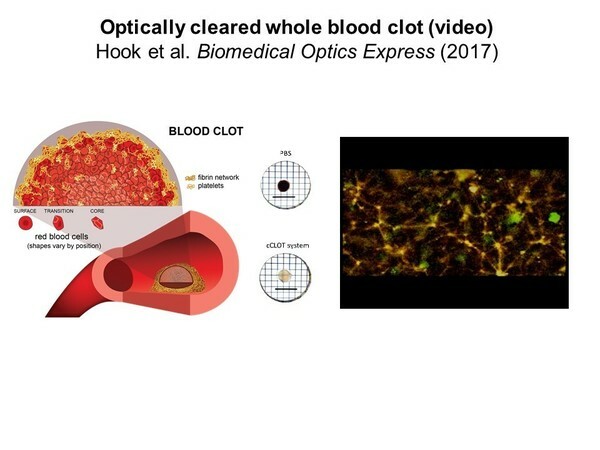 Zartman and coworkers, including Professor Alber and Professor Holly Goodson (also an affiliated member of the Center for Stem Cells and Regeneration) published a paper entitled “Whole blood clot optical clearing for nondestructive 3D imaging and quantitative analysis”. Adapted from an article originally published by Sarah Chapman at imaging.nd.edu on April 25, 2018.